The Open Call for the first edition of Splice Festival is now open! Splice Festival is a new audio visual performing arts festival for London. The first edition will take place on 3rd and 4th June 2016 across a selection of cultural arts venues. 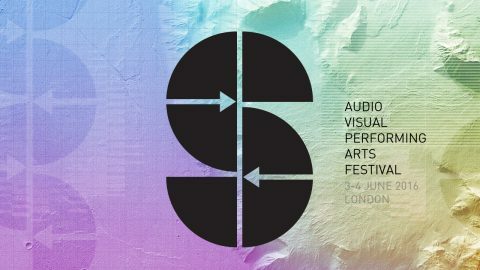 Splice Festival forms the UK branch of Creative Europe’s AV Node Network, a large scale project which partners 13 art and technology festivals across some of Europe’s biggest cities to promote and support the work of emerging audio visual artists. At its core the festival’s programme will explore the overlapping fields of audio visual art and culture through a collection of live performances and projects including live cinema, AV remixing and VJing alongside other performative work that includes digital theatre, projection mapping, visual music, generative software, creative coding, experimental music and work that uses old and new technology in engaging ways. The educational programme of Splice Festival will feature a range of workshops, talks and panel discussions. • Submissions that utilise the close relationship of image with sound, primarily music. We’re open to all styles of work, be it created on celluloid or in the digital domain. • Submissions can include: AV performances or VJ sets to accompany music performances (DJs or acts) programmed by the festival or participants for our educational programme of talks and panel discussions. • Each artist is allowed to participate in more than one category but not exceeding three artworks. A separate submission form must be submitted for each category/work. • It’s free to apply. • Submissions must be recent.